WMS is an accomplished company in the industry which has proven its forte for developing the most advanced, scalable, business-ready and intuitive applications. WonderSoft Multimedia Solutions (WMS) is one of the paramount Enterprise IT Solutions, Consultation and Resource providers in India. We have a stringent protocol! When it comes to designing a great web application, develop an app which performs exceedingly well without compromising its scalability and interoperability. OpenCart is a popular, hearts-and-awards winning, visually appealing, feature rich and search engine friendly interface. OpenCart is designed to be the ultimate solution for developing eCommerce websites with visually appealing interface. WMS is among the best ranking companies in India with amazing OpenCart. We specialize in OpenCart extensions and web development, with over () years of experience working in the domain. 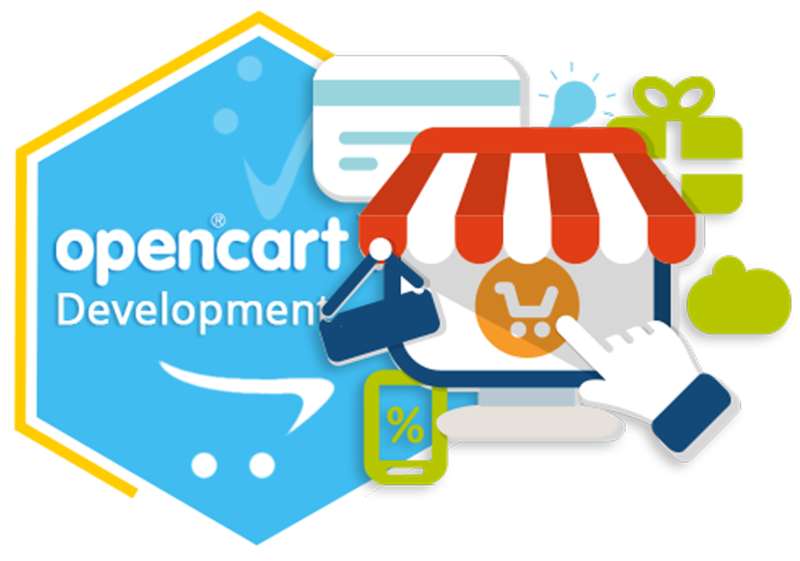 We are a team of apt OpenCart developers who are highly experienced in the development of open cart themes and websites. WMS is a leading OpenCart development company India with a team of programmers who are adept at optimum utilization of MVC structure. We can leverage the virtues of OpenCart programming to make your ecommerce presence strong! Our OpenCart programmers understand how to build the ecommerce store on this platform, but are also proficient in yielding a maximized throughput from the website. Our ability to build or customize the plugins which suit your requirements is unparalleled in the industry. OpenCart is perfect for small to medium size enterprises as a well-coded and fast loading option for setting up and running their online business. Loaded with features like SEO, reviews, backup and restore tools, OpenCart is the ideal platform for building up a strong ecommerce presence. With flexible payment options for multiple-currency, multi-language mode for every kind of customer, reach to a wider target audience and cross the boundaries. OpenCart has the amazing capabilities which enable us to integrated special SEO oriented functionalities which render your ecommerce websites not at all hard to find! Ready to create Opencart development services with WMS? WonderSoft Multimedia Solutions (WMS) is absolutely unmatched at developing web-applications which perfectly cater to you, because we understand your business goals. So, give us a call and be ready for an amazing OpenCart website! We understand that in today’s digital world which is already crowded with so many web applications, the only way to distinguish your online business is through innovative approach. Abiding to that understanding, we dedicate our fair amount of expertise in coming up with insanely good & new ideas. Nothing beats a web application or an ecommerce platform when its foundation is pure intellect and unique ideas. Hence WMS has always insisted on indigenous and agile development process which renders your online business stand out of the herd. Tenacity is essentially the fine line between success and surrender. At WonderSoft Multimedia Solutions, we are diligently dedicated towards enhancing the online persona of your business through constant innovation & Never-give-up attitude. WonderSoft Multimedia Solutions (WMS) is a well-accepted firm in India with a reputation of niche service providers. A healthy work-environment and development centric structure of the company abets novel solutions and business development for you. Copyright © 2018, All Rights Reserved by WMS.